There are these two young fish swimming along, and they happen to meet an older fish swimming the other way, who nods at them and says, “Morning, boys, how's the water?” And the two young fish swim on for a bit, and then eventually one of them looks over at the other and goes, “What the hell is water?”. “This is Water” is the title of a commencement speech delivered by David Foster Wallace that has become a masterpiece of meta-thinking. If you haven’t listened to it, put down this paper and do so now. It is worth 20 minutes of your life. The Foster Wallace parable of two young fish ignorant of the medium that defines their reality is so important on many levels. Foster Wallace contends that we swim in a world defined by self-centered thoughts, that serve to make reality visible, but should never be mistaken as fundamental truth. In capitalism the medium that defines reality is fiat money. To this point, does money exist? This seems silly to ask but it is very important philosophically. Yes, money exists in the sense that you can purchase goods and services with it. 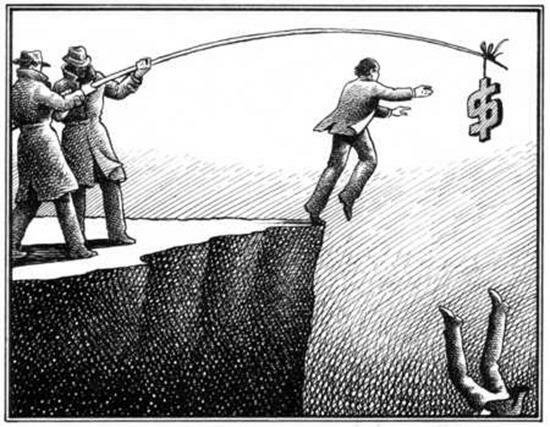 At the same time, money is only important because of a collective belief in it, and is worthless without that. This is true of any human construct: markets, words, brands, and nation-states… all abstract mediums that have meaning because we collectively believe they do, and hence they give form to reality, but are not real independent of our thoughts. Volatility is always the failure of medium... the crumpling of a reality we thought we knew to a new truth. 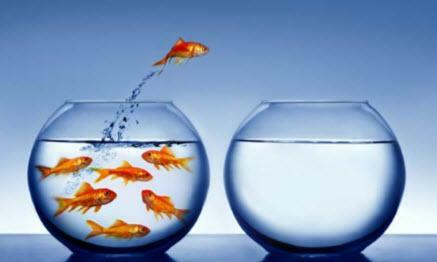 It is the moment where we learn that we are a fish living in a false reality called water... and that reality can change... or there are other realities. True volatility isn’t the change of the thing, it’s the changing of the medium around it and the realization that the thing never really existed in the first place. This is all you need to know to understand when the volatility storm will truly come. It is not about valuations, money printing, or where the VIX is at any point. When the collective consciousness stops believing growth can be created by money and debt expansion the entire medium will fall apart violently, otherwise it will continue to be real. The belief that the medium is the reality is what holds the edifice together temporally. This letter is divided into three key themes: The first part will discuss fragility of the market medium; the second will discuss how the volatility in February was a symptom of a much greater liquidity problem; and the third will discuss how flows are more important than fundamentals when the medium dominates truth. 1) Value is independent of the medium and intrinsic to the asset: The classic school of investing embodies the value investing principals of Graham and Dodd as put into practice by investors like Warren Buffet (younger version), Seth Klarman, and David Einhorn. In this school, the bid and ask prices of an asset do not represent value any more than a picture of a “pipe” is a real pipe. Liquidity is a highly flawed medium to express value. Although prices may fluctuate they are independent from the intrinsic worth of an asset. If you want to smoke a pipe, the picture is not sufficient to provide value. 2) Value is generated from the medium. In the second school, liquidity is the sole determinant of value as defined by a constant bid and ask price. An asset is only worth what someone is willing to pay for it at any given moment. If Facebook, Snapchat, Tesla, Ethereum, and Ripple keep going up, who cares why, as long as someone is willing to pay. When market participants gain confidence in a quantitative investment factor (growth, low volatility, cat ownership of company management), it becomes real, regardless of whether it makes sense. As long as people supply a bid and ask price, the medium is the reality, so to speak. The school is also supported by modern central banking policies. If a picture of a pipe looks like a pipe, it is a damn pipe, especially if people buy more tobacco. The second meta-view of value is now winning the revolution and dominating central banking and institutional asset flows. Passive and factor-based investments are just the most obvious symptom of this new worldview. If value is “created” by the medium of money, you don’t need to pay people to find it, hence active investors should be replaced by passive index funds, systematic trading, and factor-based quantitative investments. Today fundamental discretionary traders only account for 10% of trading volume in stocks according to J.P. Morgan, while rules-based strategies account for 60%. Since the recession $2 trillion in assets have migrated from active to passive strategies. Starting this year, over 50% of the assets under management in the U.S. will be passively managed according to Bernstein Research. Almost a decade of unprecedented global monetary stimulus resulted in the best risk-adjusted returns for passive investing in over 200 years between 2012 and 2017. Large capital flows into stocks occur for no reason other than the fact that they are highly liquid members of an index, and those capital flows chase the hottest ETFs and collections of stocks (FANGs). Value investing has had the longest period of underperformance in history when compared to buying whatever is “hot”. The chart above shows the performance of a pure value strategy versus momentum. 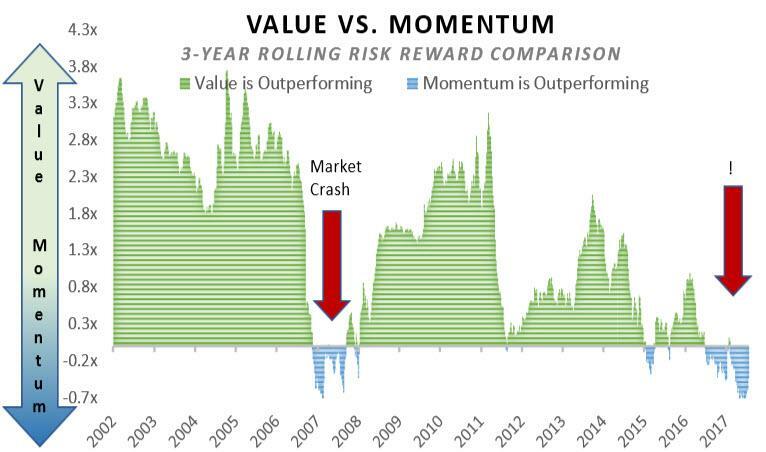 Deep value significantly underperformed momentum just prior to recessions in 1999 and 2007. If you are old enough you may remember the December 1999 Barron’s cover article titled “What’s Wrong, Warren?”. The article asserted Buffet’s value strategy was old fashioned and he was “losing his magic touch”. Recently the WSJ has printed several similar articles discussing how active managers are underperforming and losing assets due to stubborn adherence to value principals. 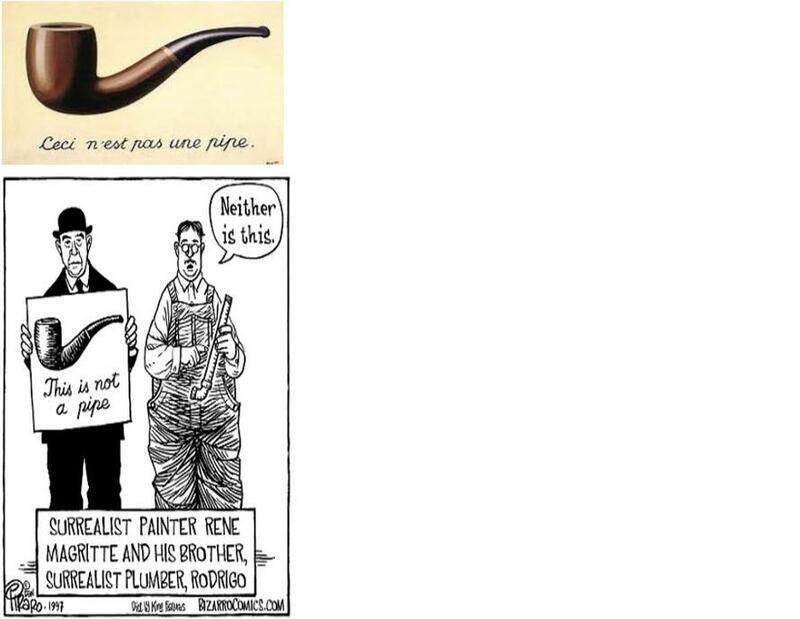 As it turns out, the institutional investors herding into passive and factor investments may be smoking something out of their own Magritte Pipe. Passive is just a crowded “liquidity momentum” trade and its outperformance compared to active managers may be self-fulfilling and ultimately de-stabilizing in the long run. When passive investing becomes dominant ‘excess returns’ are actually diminished and volatility should rise. What they claim as being low cost, actually comes at great expense in the long-run. What they think of as diversification is actually dangerous herding. What they see as alpha is actually an illusion of value created by the reliance on the medium. Michael Green at Thiel Macro first introduced me to his theory that passive investing crowds out the excess return (‘alpha’) available to active management. Mike also challenged me to prove it to myself by building my own theoretical model. I took his advice and built a market simulation whereby the main variable is the influence of passive vs. active participants. My simulation generates 25,000 days of equity returns using a supply-demand model randomized according to geometric Brownian motion with a drift factor based on constant percentage passive flows. Active participants become engaged based on varying degrees of intensity depending on whether the market drifts too high (selling pressure) or too low (buying pressure). The active players then impact the market by helping to push prices back into equilibrium. It is important to note that in this simulation the proportion of active to passive investors remains constant. In real life, this will shift over time. Green’s theory that the alpha available to active managers is destroyed by the dominance of passive flows was not intuitive to me at first. I was inclined to believe the exact opposite: that the greater the degree of passive actors the more inefficiencies are available for exploitation. That is true to a certain point. When the market is dominated by passive players prices are driven by flows rather than fundamentals (see right tail of blue line). 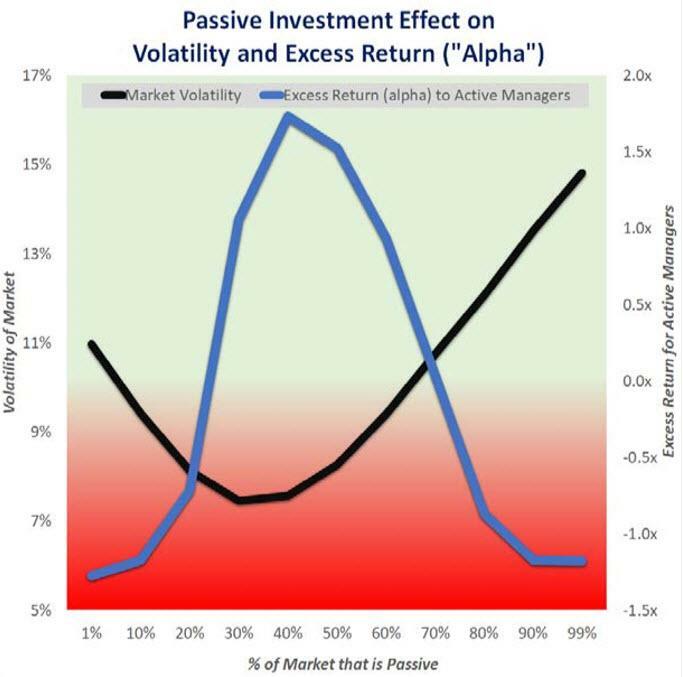 In my simulation, the excess alpha available to active participants peaks when passive investors comprise 42% of the market, then drops dramatically the more the passive share increases. When passive participants control 60%+ of the market the simulation becomes increasingly unstable, subject to wild trends, extreme volatility, and negative alpha. In the real world, because the ratio between active to passive is not constant, the instability threshold will occur at a much lower threshold as investors shift their preference to passive in real-time. A good metaphor is to think of passive investors as a drunk man at the bar and active investors as his sober guide. The drunk man is hoping to walk home safely but is highly influenced by the prevailing flow of foot traffic. Fortunately, when the drunkard gets too far off the safe path, his sober guide takes over and corrects him. Now, the dual journey home is a choppy pull and push affair, but everyone gets home safe. Now in a world where passive dominates, the drunk become so strong that his sober guide is not strong enough to influence him. Unencumbered the drunk man can now move much faster in any given direction, right or wrong, but he is also more likely to get lost. The drunk man walks from the bar... starts heading toward his house... takes a wrong turn up a mountain... and right off a cliff... to his death. The irony of the Bogle-head crowd is that they tout efficient market hypothesis to support passive investing while simultaneously failing to comprehend how the dominance of the strategy causes markets to become highly unstable and inefficient. The most immediate realities are the ones that are the hardest to see… If you want to know when volatility will truly arrive, watch the shift in the medium.